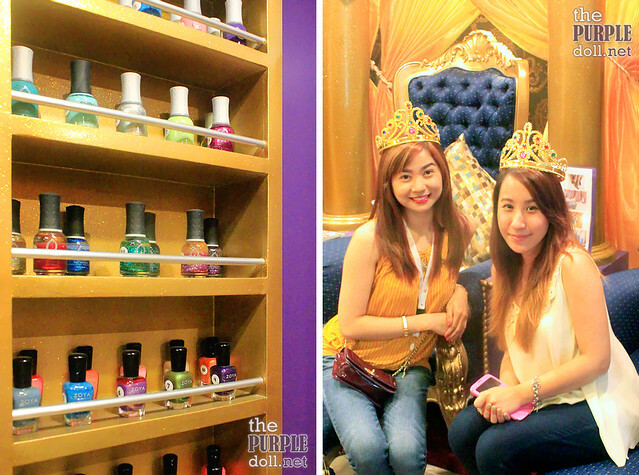 Princess Hazel Salon & Spa: A Royal Treatment + Giveaway! Girls will always be girls. No matter how simple we claim we are, there's no denying that at one time (or many times) in our lives, we've dreamt of becoming a princess. 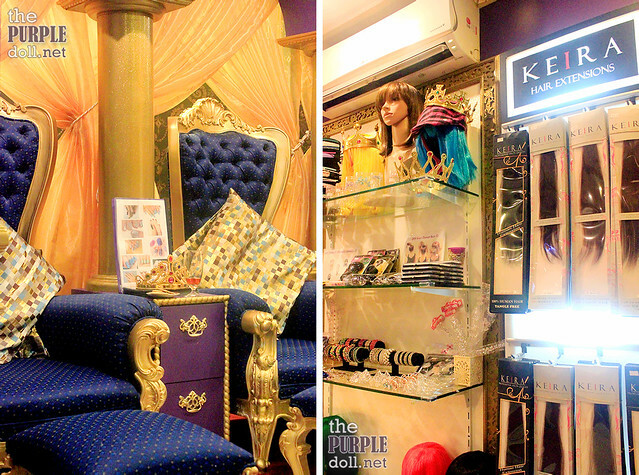 And while I didn't necessarily become a princess per se, I definitely felt like one at this posh, royalty-themed salon nestled in Quezon City called Princess Hazel Salon & Spa. Located at Unit 203 of Pacific Century Tower, Princess Hazel Salon & Spa is the brainchild of Hazel Uy, the princess behind the salon, who's a cosmetology alumna of the Center for Aesthetics Studies. And while the salon is off the beaten path, it surely adds to the place's charm and ensures clients get uninterrupted royal pampering and treatment. Hair extensions, wigs, accessories and other trinkets are also available for sale. Oh, and did I mention this is also a spa? Not only does Princess Hazel Salon & Spa offers hair and nail services, but they also have a myriad of face, body and skin treatments. Honestly, I was so overwhelmed upon seeing their list of services. 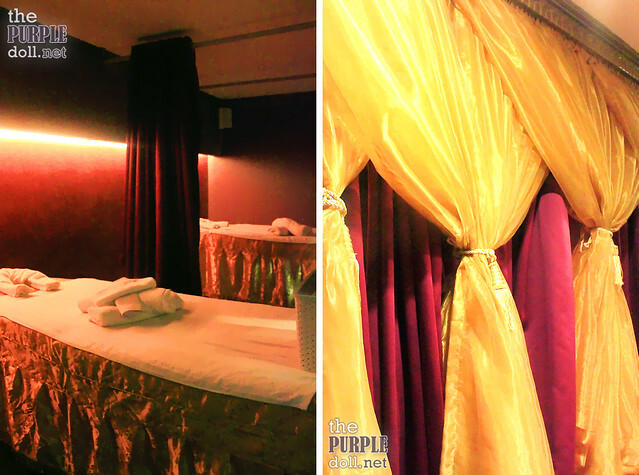 I didn't know there's a place in Quezon City that offers ultimate pampering fit for royalty! Just where can you get your haircut, makeup, mani-pedi, massage, eyelash extension, facial, bikini wax and even Radio Frequency treatment all in one place? If you know another all-around salon and spa, do let me know. Enjoy mani-pedi, hand/foot spa and paraffin on the throne! There's also complimentary snacks and drink when you avail of any of these services. 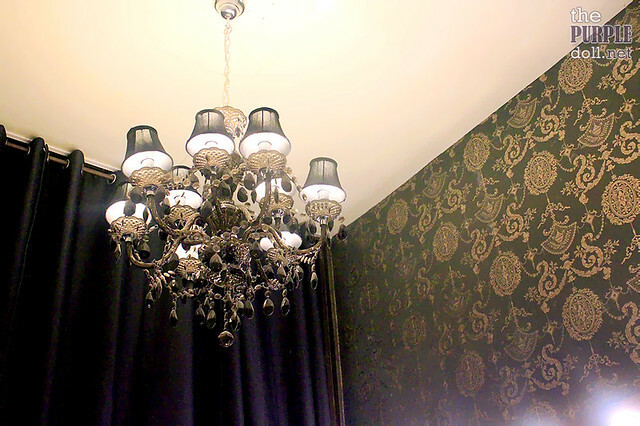 Stepping into the salon feels like entering a royal palace. From the waiting area, you can already see this fancy throne setup painted in opulent colors of royal blue, gold and violet. And there's even a red carpet. So sossy! Just by merely seeing the place, I have to say that I was already very enticed to avail of that much-needed hands and feet pampering. If you're curious, Princess Hazel Salon & Spa doesn't use just any brand of polish. They carry Orly, Zoya, Essie and OPI for both the non and most discerning of clients. 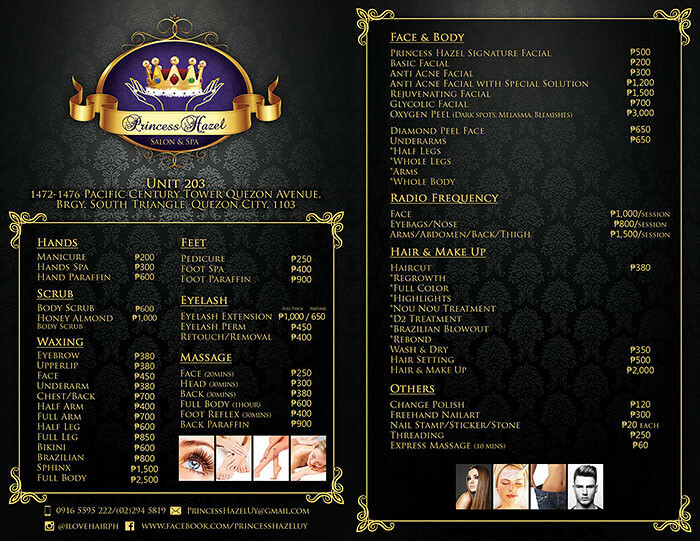 I've mentioned that Princess Hazel Salon & Spa also offers other services apart from doing hair, makeup and nails. And here's the hair waxing room where they do facial, torso, arm, leg, bikini, Brazilian and full body waxing. If I'm not mistaken, I believe they use hot wax based on the paraphernalia in their hair waxing room. 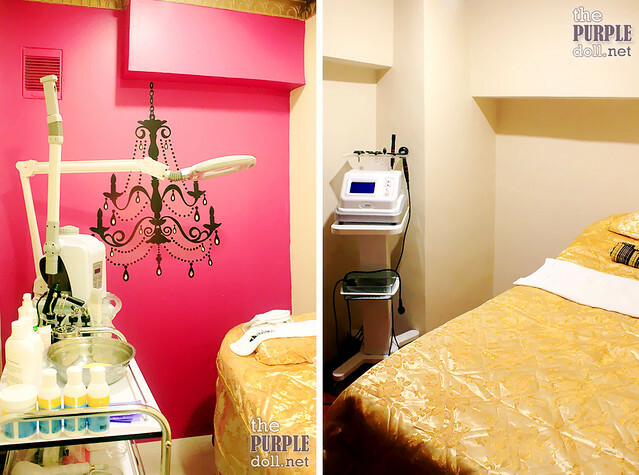 Here are 2 other interesting rooms at Princess Hazel Salon & Spa -- the room used for facials and facial peeling services (maybe eyelash extension too? ), and the room used when availing the Radio Frequency treatments. By the way, Radio Frequency or RF is a slimming and skin firming treatment. I don't have any experience with RF yet, but from what I know, some changes can already be seen after 1 session. Although of course, to get better results, more sessions (probably about 6?) are needed. As a spa, Princess Hazel Salon & Spa cannot do away without offering massage. Whether you only want a 30-minute head massage or foot reflexology, or an hour of full body massage, this place and its staff can do it. They even have a 10-minute express massage should you want to destress but don't have much time. And to make body pampering more royal-fitting, you can also opt to avail of their body scrub services. As for me, I was treated to a Foot Spa Package (P850) which of course includes the foot spa service, as well as both manicure and pedicure. 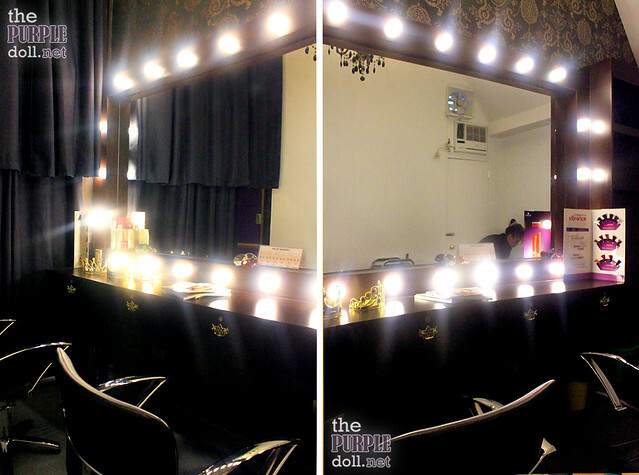 And although I didn't get to take photos of the actual process, I can say I received the royal treatment! The foot spa was very thorough. My feet became so soft and so smooth. Foot and hand massage was satisfying despite being short. My nails were thoroughly yet carefully cleaned. Neat and beautiful nail polish application for both hands and feet. Ate Ruby did a great job with all the services! She also gave me tips on skincare, nail-care and haircare. Complimentary snacks and drinks were given. Got to wear the crown/tiara while sitting on the throne. Pricelist of the salon. Click the photo to enlarge. Visit with a friend this July and get 2x the royal treatment for the price of 1! Overall, I can say that Princess Hazel Salon & Spa despite being new in the scene, is a very good addition to the metro's list of full-service salons which know how to spoil their clients. Both the ambiance and the services are fit for royalty, but without the heavy price tag only kings and queens can afford. 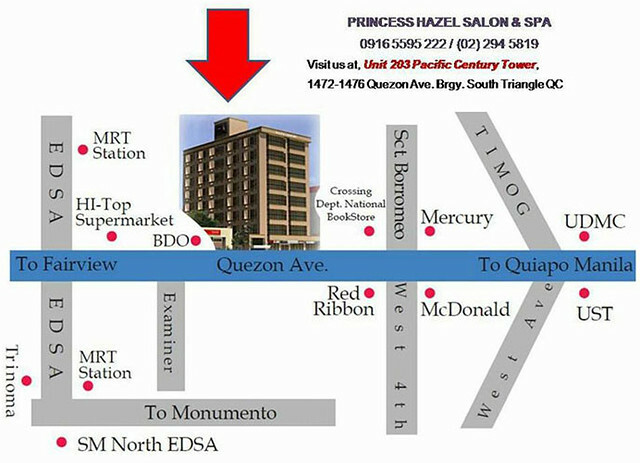 So if you're a northie, or if you find yourself in the area, I recommend you to check out Princess Hazel Salon & Spa! BUT WAIT! 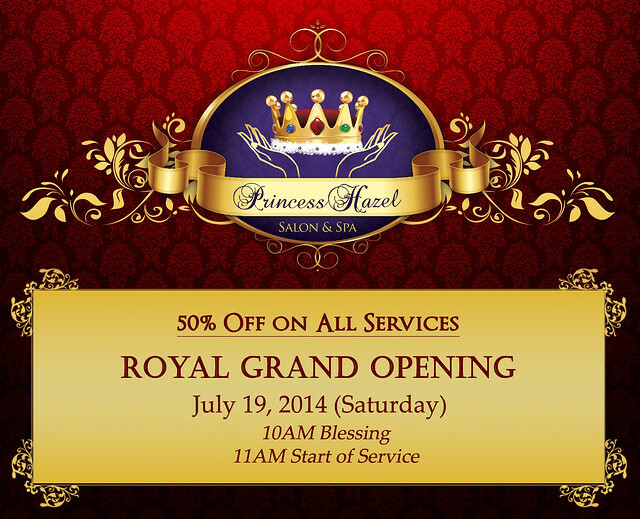 If you're planning to visit Princess Hazel Salon & Spa, why not do it this Saturday, July 19, 2014? It's the salon's Royal Grand Opening, and as a treat, they're giving an awesomazing discount of 50% off on ALL services! So if you don't have plans yet for this weekend, consider a day of pampering at Princess Hazel Salon & Spa. PS: Just to be sure, bring a valid ID when going to the salon as you'll need to secure a visitor's pass from the security desk at the building's ground floor. 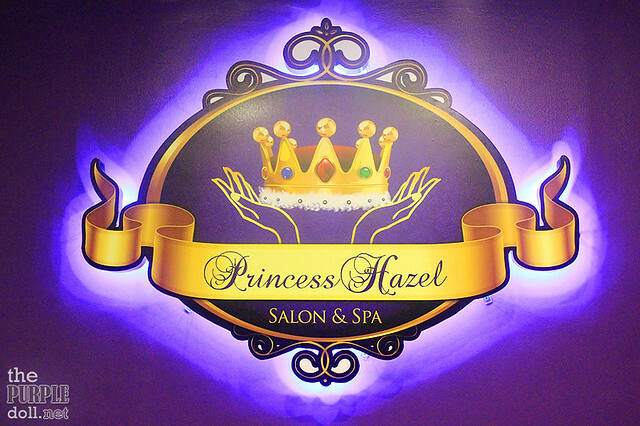 Now, it's your time to enjoy the royal treatment at Princess Hazel Salon & Spa! Thanks to the generosity of Ms. Hazel, we'll be holding a big giveaway with not just 1 winner. Nope, not 2. And not 3 either. Okay, brace yourself as I tell you now... We'll have a total of 13 winners! It's not a typo. It's really 1 and 3 together. Thirteen. Trese. Labing-tatlo. 13. The giveaway raffle will run from today until July 28, 2014. The winner will be drawn, announced and contacted the next day. 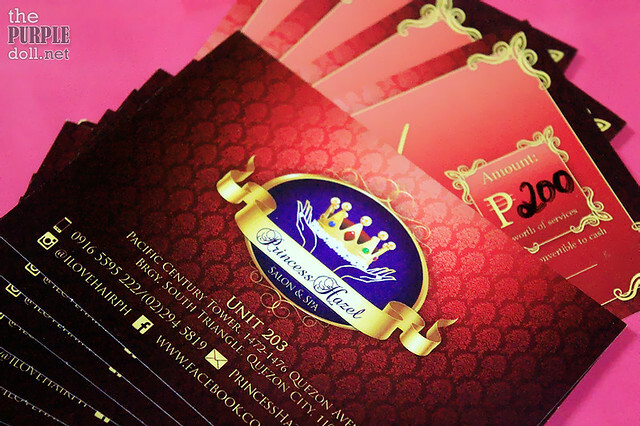 So join now and get a chance to experience the royal treatment at Princess Hazel Salon & Spa! Disclaimer: The prizes were sponsored by Ms. Hazel of Princess Hazel Salon & Spa. I want to try the Full Body Massage service because my back and leg muscles are sore from working everyday. I want to try their massages. I want to try their anti-acne facial. 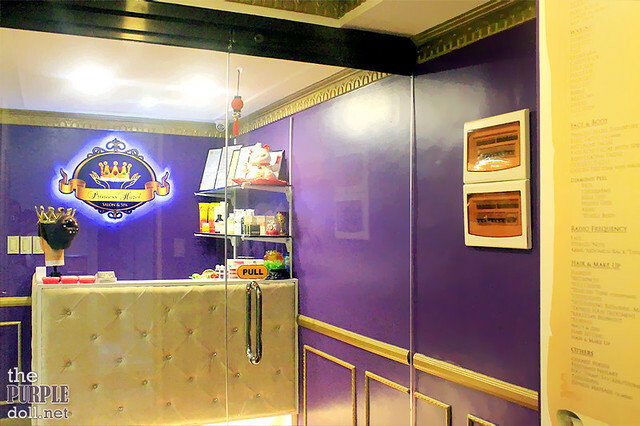 Which among the services of Princess Hazel Salon & Spa do you want to try? ~I would love to try their Anti Acne Facial with Special Solution! I want to try their Brazilian Wax, Body Scrub or Full Body Massage. I would really love to try the manicure, pedicure, diamond peel and waxing for underarms. i really really need a massage since its my first week on the job as a teacher. I want to try the manicure - iba ibang color per week! :D I'm also curious about their eyelash extensions. Before enjoy na ako sa mga foodies that you offered to our eyes..! 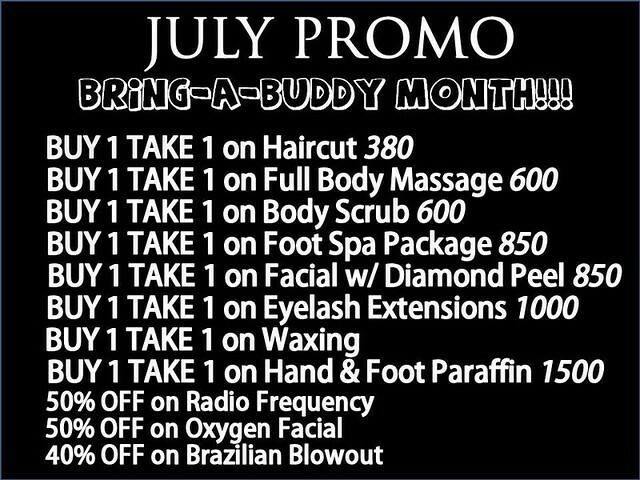 Now, it's time to try this promo..
Im so tired sa work thats why id like to take a me time! Masarap mag relax! Isasama ko din yung friend ko, i already recommended this page and the salon! Dumaan aq sa Quezon Ave last time i already saw this place ! Foot Spa Packageis what I wanted to try which includes the foot spa service, as well as both manicure and pedicure..